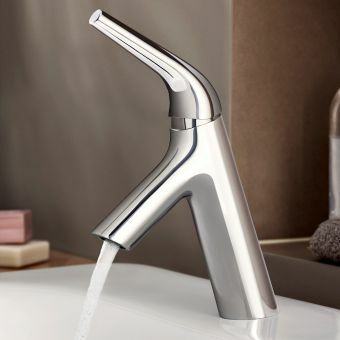 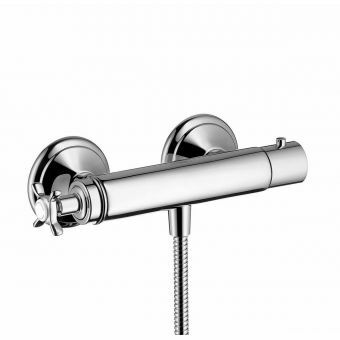 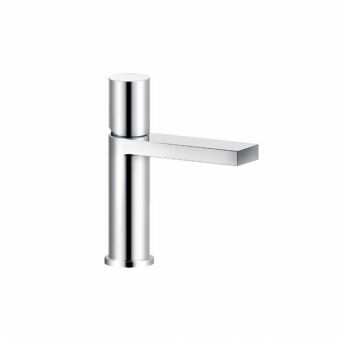 Compact in size but keeping all the features you've come to expect from AXOR, one of Germany's leading brassware manufacturers, this twin handle tap set will blend seamlessly into any traditional bathroom with a modern slant. 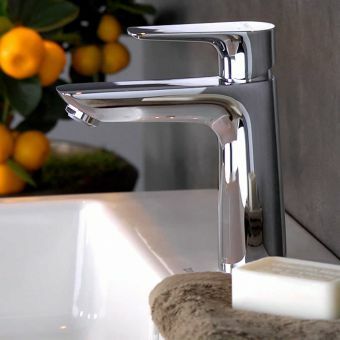 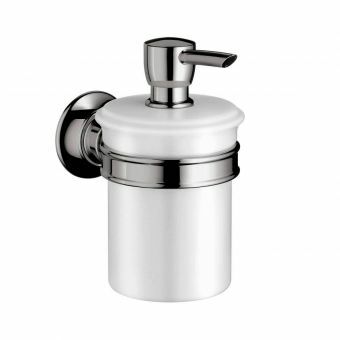 By keeping the solid, tactile design of the Montreux range, this basin mixer has been created primarily for smaller basins such as those found in cloakrooms or bedroom en-suites. 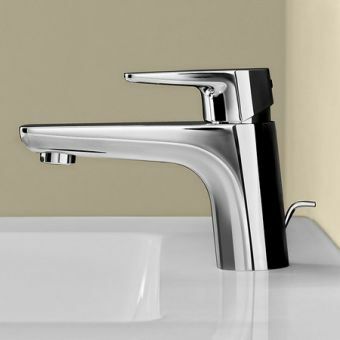 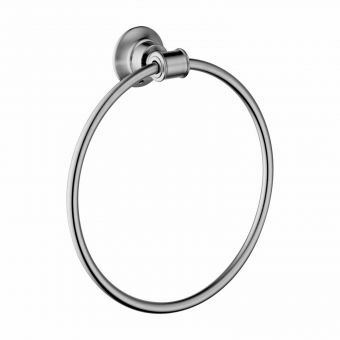 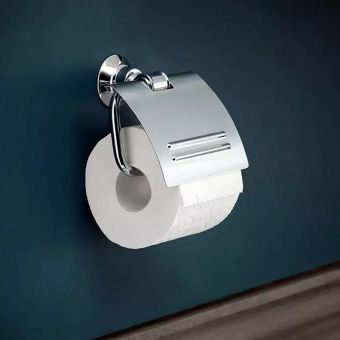 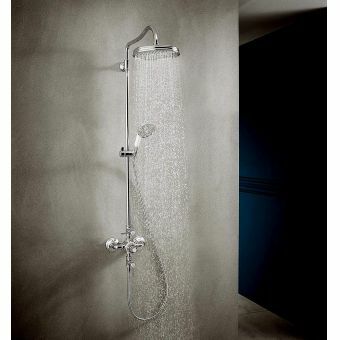 The gleaming chrome finish will fit happily into most bathroom decors but a brushed nickel option is available as well as a list of 15 special finishes encompassing bronze, gold, brass and stainless steel. 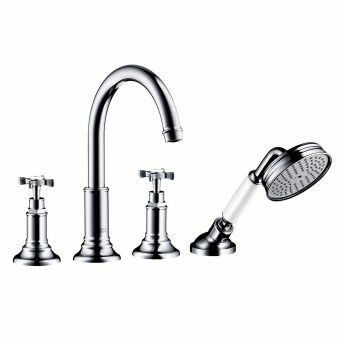 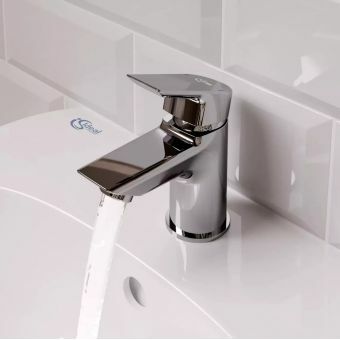 Clearly marked hot and cold indices allow fine control over the water temperature and with the spout having the ability to swivel through 120 degrees, you can place the nozzle exactly where you need it most. 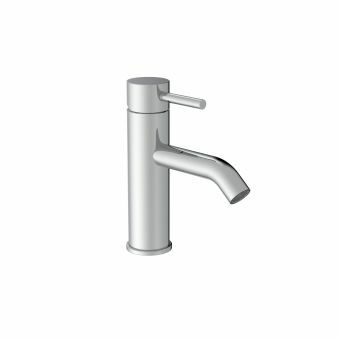 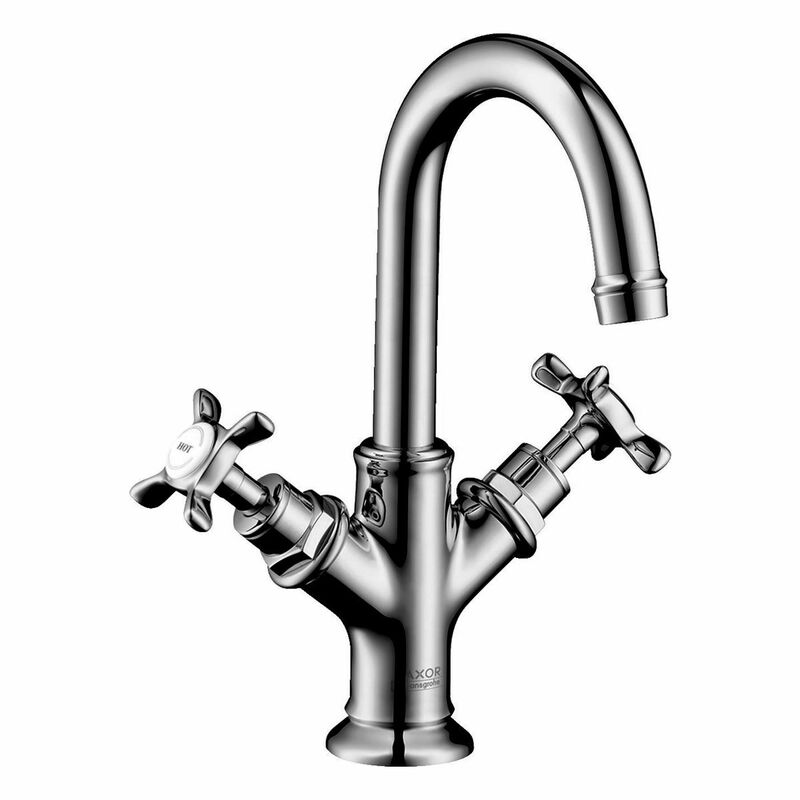 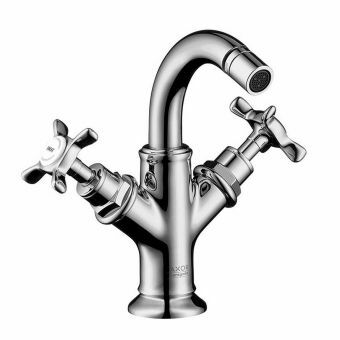 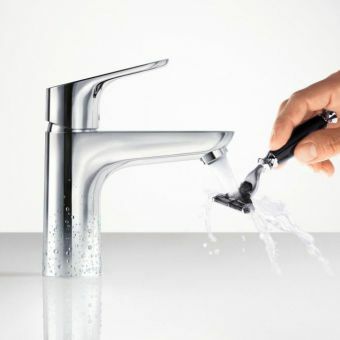 A pop-up waste is a handy option that blends perfectly with the detailing of this smart period tap.